Bonny Becker and Mark Fearing join forces for a deliciously spooky story — with a twist ending that’ll leave readers hungry for more. When the Thirteen bus pulls up one dreary, stormy evening, something about it doesn’t seem quite right. The driver grins down with a mouthful of long, white teeth, and there’s barely any room to sit, but Michael McMichael is bringing his gran something very dear, so he gets on board despite his misgivings. 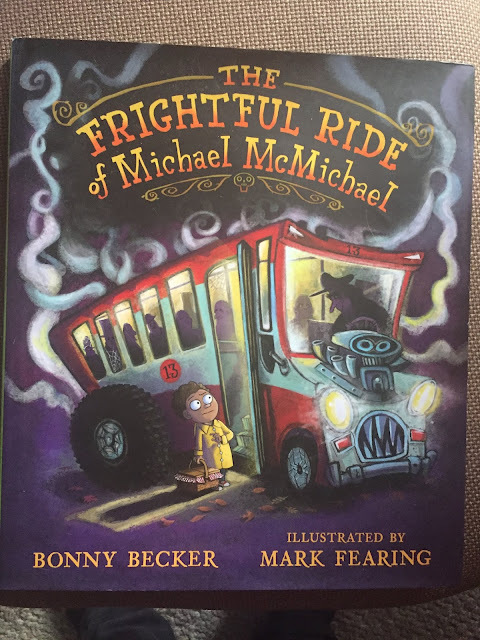 But as they travel on and the rest of the passengers get off, Michael realizes there’s nothing normal about this bus — and the driver is getting creepier by the minute. 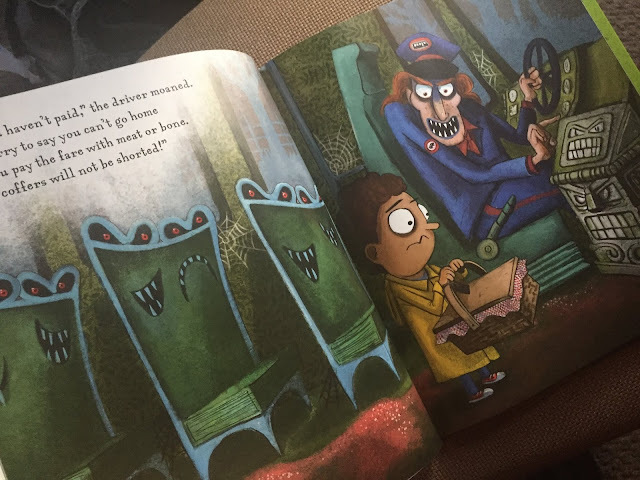 Best-selling author Bonny Becker’s cleverly rhyming text will chill and thrill readers alongside Mark Fearing’s wonderfully funny illustrations, making this book perfect for Halloween story times — and lovers of things that go bump in the night. A boy named Michael is heading to Grandma's house with Gran's pet in a basket. 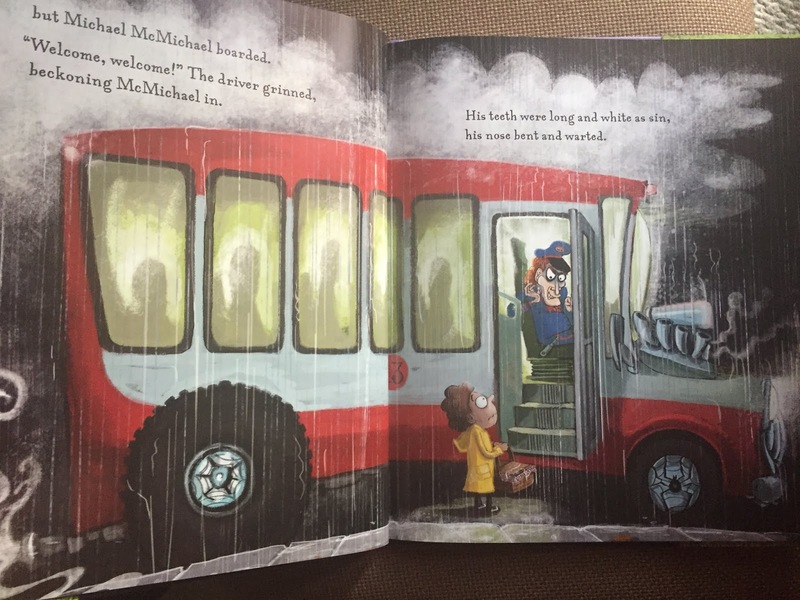 The bus is full of other passengers when Michael gets on but eventually he is the only one left. The bus become creepy with snake seat belts, a tongue walkway and mouths on the seats. The driver is even more creepy with his sharp teeth and fare demands. which must be paid with meat or bone. Michael offers the driver a sweet treat from Grandma's basket which turns out to be even scarier than the driver! 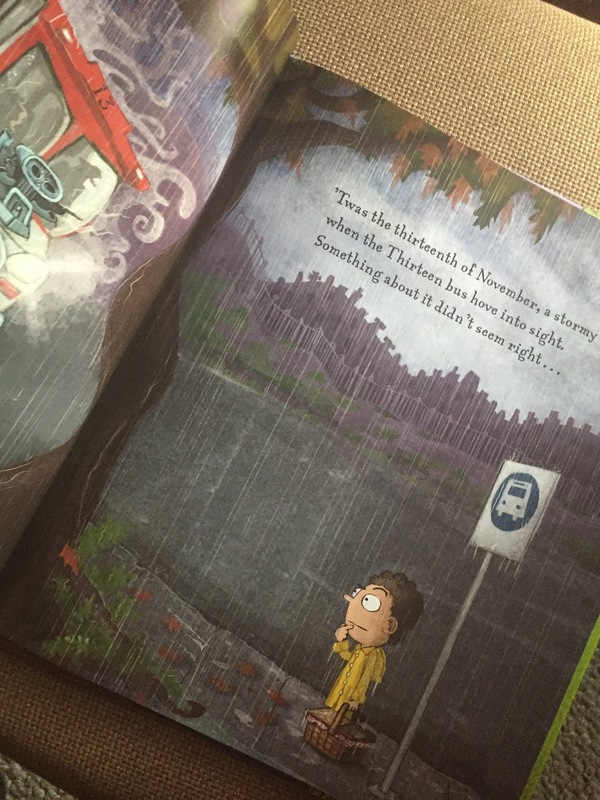 The book has wonderful illustrations although the story may be too scary for some young readers. 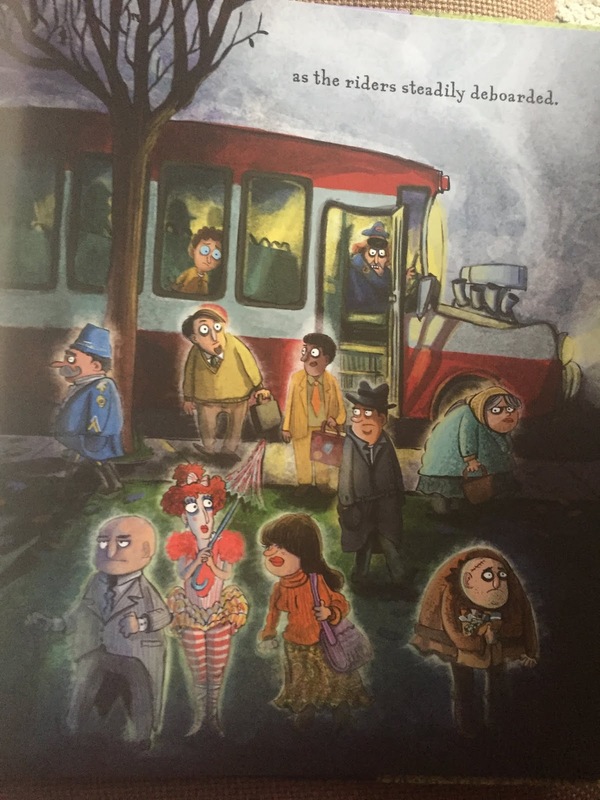 As long as mom or dad makes it funny they will enjoy this book but if they are just listening to the story this could be very creepy! With that being said, I would love to see this as an animation.